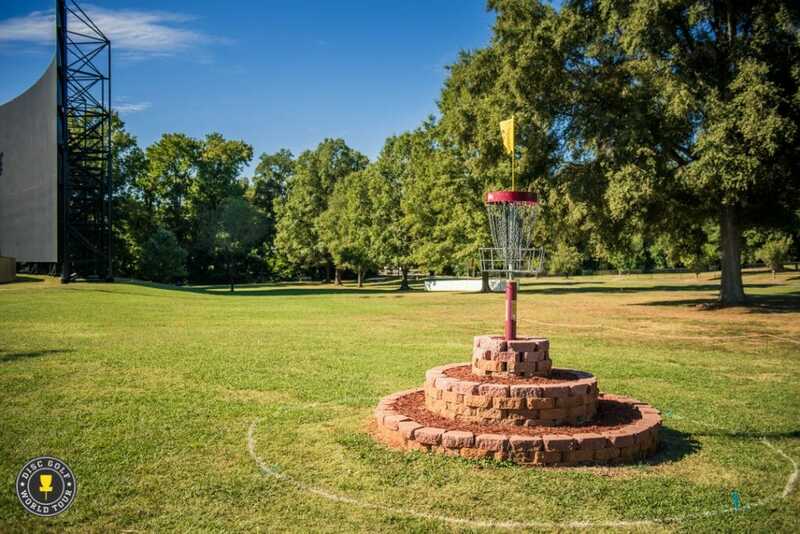 The United States Disc Golf Championship has announced course changes to Winthrop Gold for its 20th anniversary event. Hole 9 is getting a complete reworking and may add a full stroke in difficulty to the course. For a quick refresher of the hole last year, here’s Nate Sexton and Jeremy Koling analyzing the layout, and Koling and Paul McBeth playing the two options the par 4 allowed. For 2018, the eagle opportunity has been effectively taken out by lengthening the hole by more than 380 feet, and adding two islands onto the fairway before the island green. Both the tee pad and basket were moved back to accommodate the extra distance. 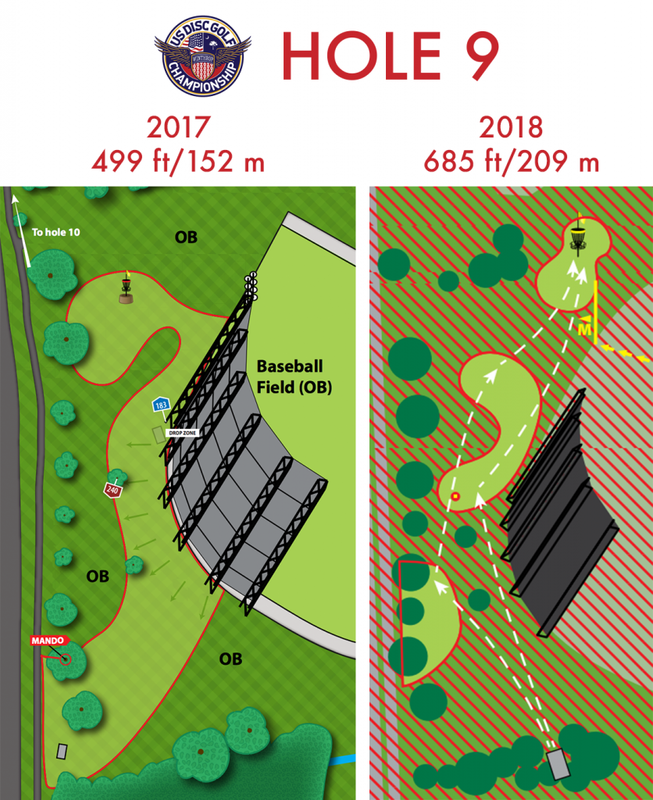 Below is a side-by-side of hole 9 over the past two years. Comments on "USDGC Course Changes For 20th Anniversary"